Details have just been released for The Chainsmokers’ upcoming “World War Joy” North American tour. The Grammy-winning artists will be headlining the fall tour and will be joined by 5 Seconds of Summer and opening act Lennon Stella on all the dates. The Chainsmokers and 5 Seconds of Mars just combined talents on the single “Who Do You Love” which was released last week. The “World War Joy” tour will kick off in Cincinnati, OH on September 25, 2019. Among the cities scheduled on the tour are Buffalo, Atlanta, Nashville, New Orleans and San Diego. All told, the North American tour will hit 41 cities before wrapping up on December 6th in Vancouver, BC. Tickets will go on sale on Friday, February 15th at 10am local time via LiveNation.com. VIP packages will be available for each concert. 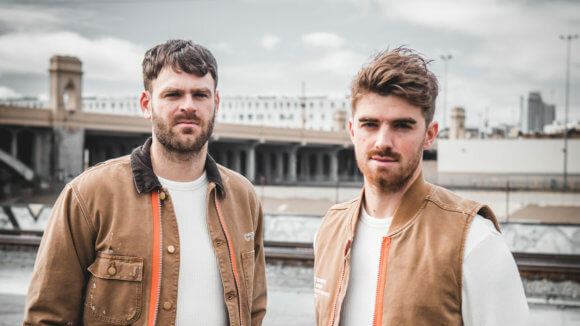 Grammy winning duo The Chainsmokers have developed some of the biggest breakthrough songs over the last two years including Multi-Platinum certified hits “Roses,” featuring Rozes, “Don’t Let Me Down” featuring Daya and “Closer,” featuring Halsey, which went on to become the longest running #1 single of 2016 on the Billboard Hot 100 chart. The group’s debut album, Memories…Do Not Open, has been certified Platinum. The album debuted at #1 in the U.S. on the Billboard 200 chart and produced Multi-Platinum certified smash hits “Paris” and “Something Just Like This” featuring Coldplay. Released late last year, the duo’s building album Sick Boy has generated over 1 Billion worldwide streams to date and features hit single “This Feeling” featuring Kelsea Ballerini. Alex and Drew will continue releasing music and touring across the globe throughout 2019 and beyond.